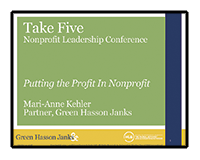 What's the Take Five Nonprofit Leadership Conference? 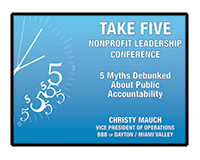 Brady Ware is passionate about giving back to the nonprofit community, so we created the Take Five Nonprofit Leadership Conference. 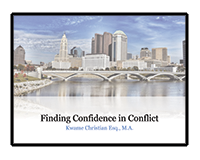 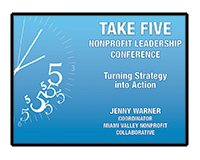 Take Five is an annual conference made available at no cost to nonprofit organizations that want to improve their fundraising, strategic goals, leadership abilities, and better fulfill their missions. 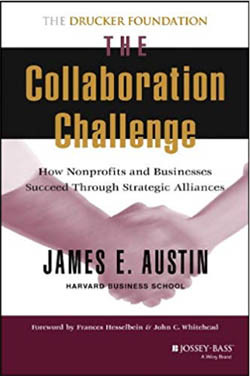 Here, you’ll find previous years’ materials: presentations, the Take Five video library, and additional resources to help your organization achieve its goals.